When you’ve spent hours recording, editing and uploading your video, it’s often a stretch to invest more energy into creating a detailed YouTube description. But what if I told you you could streamline this process and save time every time you upload a new video? 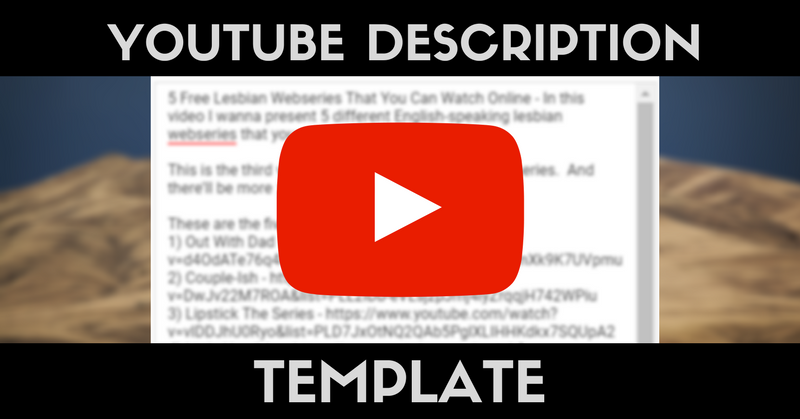 For this article, I have prepared a YouTube description template for you as well as explanations on how to use it. It’s important to know why video descriptions matter. You’ve probably seen plenty of big YouTubers leave their descriptions empty. That’s why many small YouTubers do the same and write little to nothing into theirs.